The man being held on suspicion of terrorism after the Westminster car attack on Tuesday has been named as Salih Khater by British newspapers. The event, in which 15 cyclists and pedestrians were reportedly struck before Khater’s silver Ford Focus hit the Palace of Westminster anti-terror barrier just before 07:40 BST, is being investigated by British counter-terror police. He has been arrested under the 2006 terrorism act. Described by police at the time of his arrest as a male in his late 20s, the terror suspect has now been named by British newspaper the Daily Mail as 29-year-old Sudanese immigrant Salih Khater, now a British citizen living in Birmingham. Apparently uncomfortable in identifying the terror suspect using the common nomenclature as an ‘immigrant’, government security minister Ben Wallace instead called Khater a “British citizen [who] came from another country originally” when he spoke Tuesday evening. 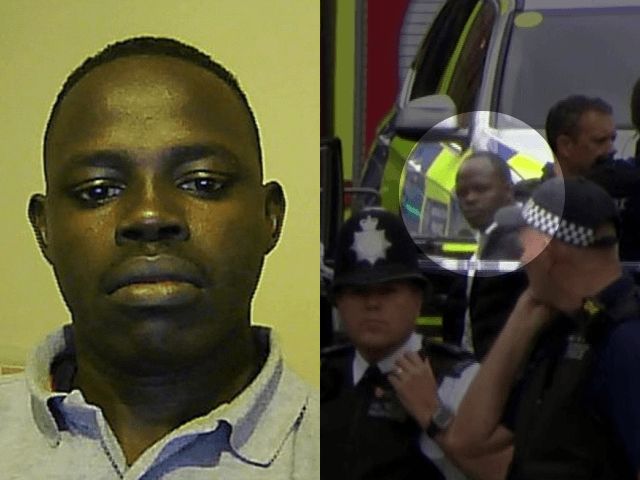 According to reports, Khater lived in the Birmingham suburb of Sparkhill in a flat just minutes walk from the address of Islamist terrorist Khalid Masood, the radical who rammed a hired car into pedestrians on Westminster Bridge and stabbed a police officer to death moments later. Masood’s attack took place just yards from where Khater crashed into cyclists and pedestrians — injuring three but causing no fatalities. Before driving into Whitehall and Westminster, Khater is believed to have spent hours driving around London in the Tottenham Court Road area late at night. He then spent around 90 minutes driving around and near the Houses of Parliament. Officers were searching three addresses across Birmingham and Nottingham in the Midlands Tuesday night.